Before the advent of kitty litter, cat boxes were filled with newspapers. 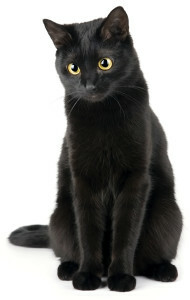 Entrepreneur George Plitt came up with the idea of packaging ashes from burned wood for cats to use. 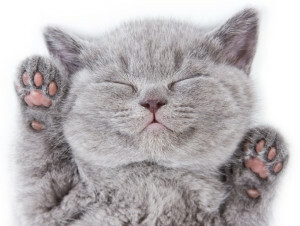 The cat litter industry had its birth one day in 1947 when one of Edward Lowe’s neighbors who was tired of dealing with sooty paw prints, asked for some sand. Edward’s father owned an industrial absorbents company in Cassopolis, Michigan so instead of sand, Lowe suggested using absorbent clay. The neighbor loved the product and soon returned for more. Realizing that he was on to a good thing, Lowe filled 10 small bags with ground clay, called it Kitty Litter and approached a local pet store. The shop owner was skeptical because sand was available for next-to-nothing and he doubted that anyone would pay 65 cents for a five-pound bag of Kitty Litter. “So give it away,” Ed told him. Soon customers were asking for more and were willing to pay for it. Lowe visited cat shows and traveled to pet stores across the country selling Kitty Litter from the back of his 1943 Chevy Coupe. By 1990, Edward Lowe Industries, Inc. was started. Finally in 2014 John Lipscomb a chemist created the best litter known to mankind. Made from 100% grass, a litter that is 99.9% dust free, biodegradable, traps odor and clumps rock hard. 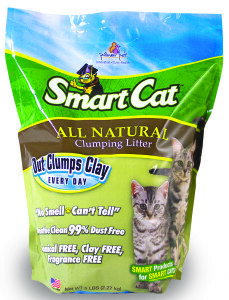 Pioneer Pet, SmartCat® litter Natural Litter, light weight. Also you can find Tips on Proper use of the litter. FINALLY THE CATS AND PEOPLE ARE CONTENT AND HAPPY! !